Move over, Moscow Mule, because there's a new cocktail in town and it officially has my vote for Drink of the Summer (2015 edition). It all started (as so many of my adventures in drinking do) at the green market - I was wandering through on my way from one thing to another when I came upon the largest selection of cherries and blueberries I had ever seen. Utterly captivated, I immediately purchased a 1/2 pint of blueberries and did my very best to not inhale every last one of them before I even got on the train. I managed to make it home with most of them still intact, which was lucky for me because the remaining berries and some fresh rosemary from my balcony garden went directly into this deliciously refreshing, surprisingly fragrant, it's-too-hot-to-do-anything-but-fan-yourself-and-drink beverage. 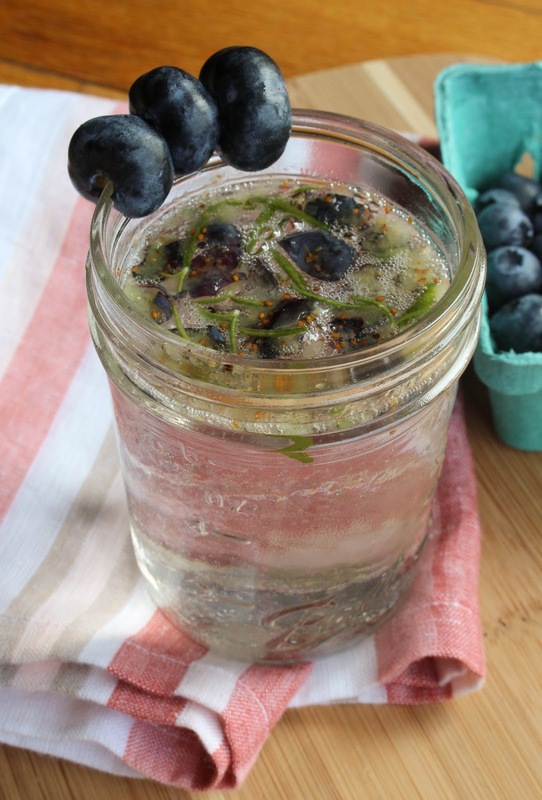 Combining muddled blueberries and rosemary-infused simple syrup (hence the name! ), it screams of summer days on the shore. Or summer days in the middle of an smelly and overheated city, whichever is more applicable to you. I made this drink with vodka because that's how I roll, but you could easily substitute gin if that's more your fancy. Enjoy! Combine water, sugar, and loose rosemary leaves in a stovetop pot and bring to a boil. Reduce heat and simmer for 2-3 minutes, then remove from heat and let cool. Don't strain leaves, leave the rosemary loose in the syrup. -Muddle the blueberries in the bottom of the glass (if you don't have an actual muddler, the backside of a spoon works just as well). Add the vodka, simple syrup, and club soda. NOTE: I made this drink without ice cubes because my chilled ingredients did the work (and I didn't want to worry about the melting ice watering down the drink). If you don't want to wait for your ingredients to chill (because sometimes a girl needs a drink like now!) 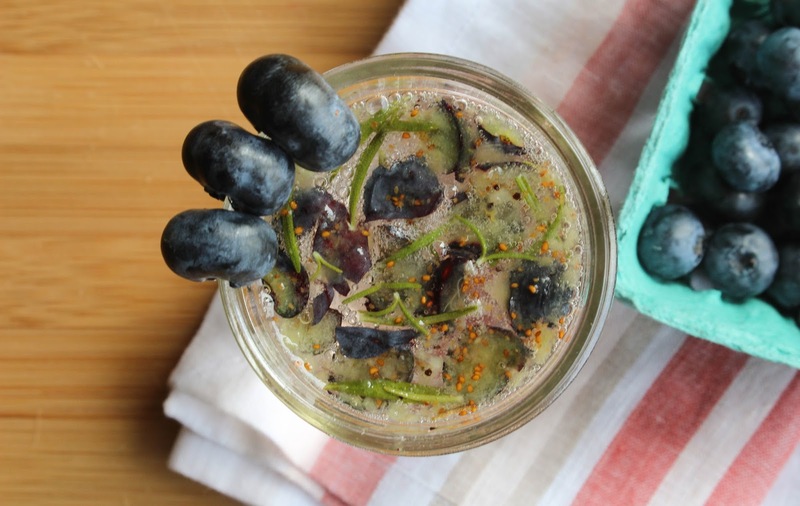 then by all means, use a larger glass and add some ice cubes after you've muddled the blueberries.